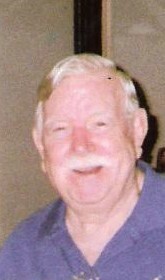 Franklin Delano Dahlgren, Uniontown-Fairchance, Pa.
Frank Dahlgren passed away Saturday, March 16, 2019 at the age of 82 at Mt. Macrina Nursing Home. He was born in Fairchance, Pa.
His parents were Gilbert J. Dahlgren and Maple Winaught Dahlgren. He was Swedish and French Canadian descent. He was predeceased by his parents; two brothers, Earl R. and Cecil T. Dahlgren and a sister, Ruth V. Hartman. Frank graduated from Fairchance High School in 1956. He served in the U.S. Army and held several positions in the Washington D.C. and Virginia area before retiring and returning to the Uniontown area. Frank will long be remembered for his love for God and his musical talent. He spent many hours of practice and perseverance on both piano and organ to express this Love. He served, over the years, as organist for many churches. This was truly the “Love of his Life”. Frank is survived by his sister-in-law, Pauline (Cecil) Dahlgren and many nieces and nephews and cousins. At his request, there will be no viewing. Private graveside service and Military Honors will be accorded at a later date. Arrangements are under the direction of the Dean C. Whitmarsh Funeral Home, Fairchance, Pa. Donations to the American Cancer Society will be appreciated.